Epcot's World Showcase is known for its wide variety of imported beers and exotic mixed drinks from around the globe. During the summer months, combat the Florida heat on your next Walt Disney World vacation with these refreshing beverages. Here’s our list of the absolute best frozen beverages for drinking your way around the world. 1. 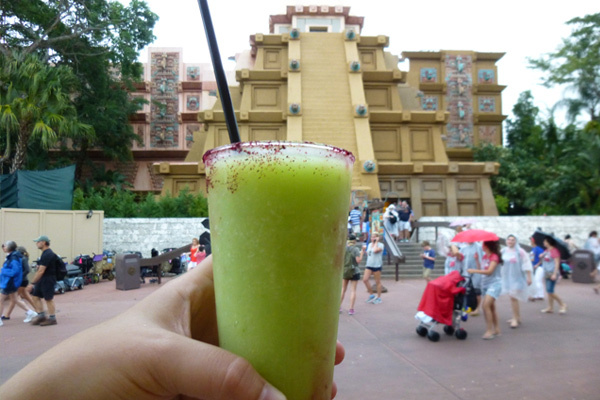 Avocado Margarita in Mexico – No global trip is complete without a stop at La Cava Del Tequila at the Mexico pavilion. This tequila bar, inside the big pyramid, has been named one of the best in the United States. The beloved signature drink is the Avocado Margarita, which is wonderfully smooth, and despite what you might think when you hear it's made with fresh blended avocado, it's actually very sweet. The frozen drink also contains tequila, melon liqueur, agave nectar, fresh lime juice and a hibiscus salt rim. You can find many other margaritas here, but this is the one you won’t soon forget. 2. Frozen Elephant at Coke Outpost – As you continue on your journey around the world, stop off at the Refreshment Cool Post between China and Germany. 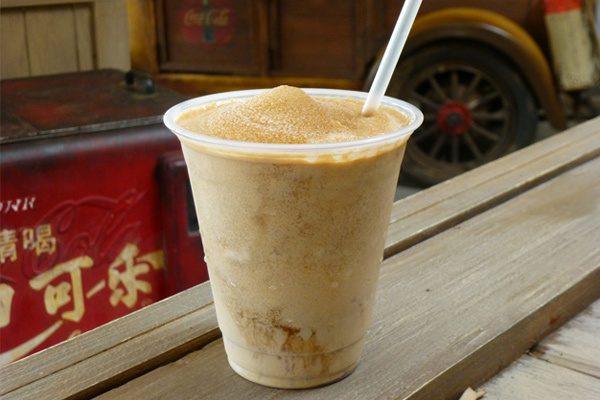 This refreshment stand themed like an African outpost offers a variety of Coca-Cola products and quick snacks, but it's a frozen beverage named "Elephant" that you should definitely try. This fresh yet creamy drink contains the perfect balance of frozen Coca-Cola and Amarula Cream Liqueur from South Africa – it tastes like a grown-up version of a Coca-Cola float. They also offer the Mango Starr, a mango smoothie with Starr African Rum. 3. Italian Margarita in Italy – When in Italy, be sure to pay a visit to the gelato stand out front. Not only can you choose from many flavors of delicious gelato and from a wide selection of Italian wines, but they also offer the one-of-a-kind Italian Margarita. This frozen blend of Limoncello liqueur and tequila is a tasty fusion of two different cultures in one drink. An Italian take on the margarita, it's like drinking a frozen glass of sweet lemonade, but with a kick. Order it with their decadent Cannoli Cupcake for the full Italian experience. 4. 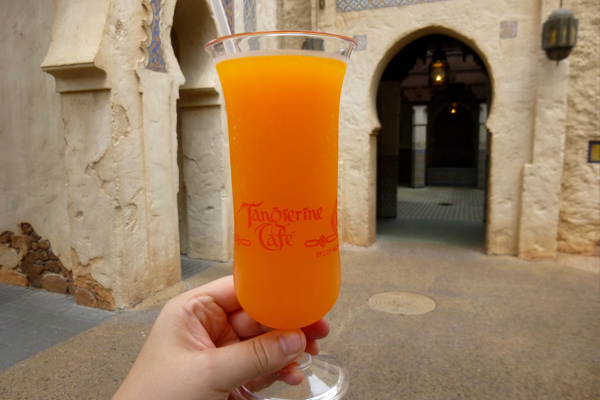 Tangerine Daiquiri in Morocco – Located in the back of the Tangierine Café, one of the best counter service locations in Walt Disney World, you'll find a small pastry and coffee bar. This is a great place to pick up Moroccan treats like baklava or a unique coffee drink made with flavored liqueur. For hotter days, don’t miss the Tangerine Daiquiri. This brightly colored slush is mixed with rum and triple sec. For only a couple dollars more, it can be served in a souvenir plastic glass. It's a great value for the large size you get and there's nothing better on a hot day than this ice-cold drink. A strawberry daiquiri is also available, but tends to be more on the sweet side. If you want, they can combine the two flavors, creating an entirely new drink. 5. 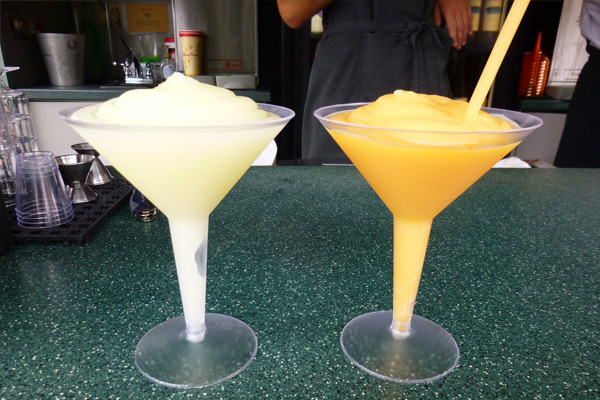 Grand Marnier and Grey Goose Slushes in France – These famous frozen beverages have been delighting grown-ups at Epcot for years. They're both incredibly delicious and are some of the most recommended signature cocktails in all of Walt Disney World. These Parisian takes on fruity slushes are made with high-end alcohols, elevating a simple slushy to a whole new level. You have two to choose from: the orange version includes Grand Marnier, rum, orange-flavored Grey Goose vodka and orange juice, while the other includes Grey Goose Citron, vodka and lemonade. Both are incredible sip sensations: the orange offers a smoother taste while the other is more tart. Remember to stay hydrated when drinking around the world. A good tip is to drink a cup of water between each alcoholic beverage, and to pace yourself. 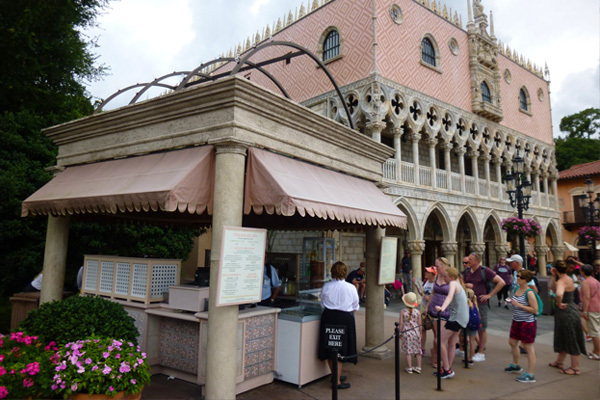 All refreshment stands offer free cups of ice water during the summer. Plus, you can always share mixed drinks with others in your party. Cheers!